In 2014, we published an article entitled “Watch the Movie Before It Is Filmed.” In that article, I described the situation in Venezuela at that time. The effects of fifteen years of collectivism were threatening to collapse the economy. The government was reacting by printing bolivares (Venezuelan currency) on a large scale—a knee-jerk solution that has been utilized by over twenty other countries in the last century—always with the same outcome: hyperinflation, resulting in economic collapse. At the time, I recommended to readers that they “watch the movie” as it was being played out in Venezuela, as it would offer them insight into what was on the way in their own country, should they reside in Europe or North America. The pattern followed by Venezuela is roughly the same as for the other jurisdictions; Venezuela is just a bit more advanced in the progression. Therefore, what we are observing in Venezuela is likely to be played out in other countries that have made the same mistake of taking on more debt than they can ever pay back. As predicted, Venezuela is now well along with regard to hyperinflation. The traditional definition of “inflation” is “the increase of the amount of money in circulation.” Today, we think of inflation as an increase in the cost of goods, but this is merely a predictable by-product of inflation. If the amount of money increases, the cost of goods will always rise to meet it. Therefore, the issuance of large amounts of paper money has only a very temporary positive effect. Ultimately, it creates an increase in the price of goods and services, which, in turn, calls for further printing. In 1922, Germany was up to its eyes in debt, to the point that it was beyond repayment. The government, in attempting to overcome the dire poverty that had developed, decided to print more paper banknotes. The printing didn’t (and couldn’t) solve the problem, so they printed more. Then more again. They kept up the printing, until, by the autumn of 1922, the reichsmark was worth so little that new bills were being delivered to the banks in boxcars. A story of the time describes a man bringing a wheelbarrow of reichsmarks to a baker to buy a loaf of bread. Whilst in the shop, making the deal with the baker, he was robbed—the wheelbarrow full of money that he had left out on the sidewalk had been stolen. The thief dumped the reichsmarks on the pavement and made off with the wheelbarrow. Above, we see a photo from the time—a wheelbarrow full of reichsmarks. Next to it, we see a photo from present-day Venezuela—a wheelbarrow full of bolivares. 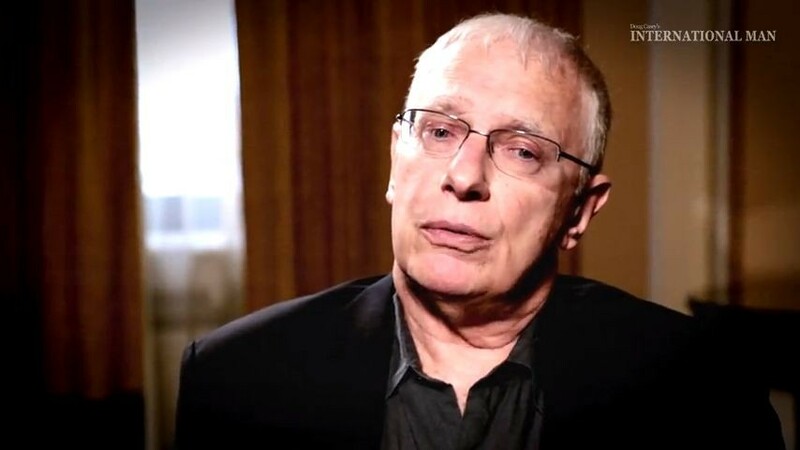 Doug Casey’s urgent new broadcast just went live… and I guarantee, even Doug’s longtime readers have never seen anything like this before. It reveals why a financial shock far greater than 2008 could strike America within the next 7 months. And how it could either wipe out a big part of your savings… or be the fortune-building opportunity of a lifetime. This special presentation won’t be online for long. Click here to watch it now. Historian Spends 30 Years Studying U.S. Economy. What He Found Will Terrify You. So, are the leaders of Venezuela learning from the mistakes of other countries that have followed this pattern? Far from it. Recently, they took delivery of over five billion banknotes—enough to fill three dozen 747 cargo planes. At the same time, Venezuela is selling off its gold in order to pay for the new currency and other debts. Venezuela will soon run out of real money to pay for the fiat money, and that will bring the charade to a disastrous end. The reader may say to himself, “When will people learn?” Sadly, they don’t. Incredibly, when the reichsmark collapsed in 1923, no one blamed the excessive printing. In fact, many people felt that if only the printing had continued just a bit longer, everything might have been all right. The same will occur in Europe and America in the fairly near future. That’s not a “Chicken Little” overreaction; it’s a virtual certainty. The same economic errors always bring the same catastrophic results. Ben Bernanke, just two years prior to being named head of the Federal Reserve, assured an audience that the Fed would react to any deflationary trend by printing as many currency notes as necessary. This was no idle threat. Remember, the owners of the Fed profit heavily from the hidden tax of inflation, but lose money if there is deflation. That assures us that, with the present unsustainable level of U.S. national debt (nominally, some nineteen trillion dollars, but actually some hundred trillion dollars, including unfunded liabilities), a collapse in the dollar is a given. And, of course, the severity of the crash is always commensurate with the level of the debt, which promises us that, since this debt load is by far the greatest the world has ever seen, the crash will be the greatest the world has ever seen. Those who have studied the histories of countries after they’ve experienced a hyperinflationary collapse will be aware of what’s headed their way, if they reside in Europe or North America. Those who have not undertaken such a study might choose instead to watch the movie—to observe what happens in Venezuela as its hyperinflation plays out and learn what their own fate might be. Our predicted outcome, which may have seemed hypothetical in 2014, is now right around the corner in Venezuela. This will be of value to the reader who watches as the collapse occurs, then observes what follows. The events that unfold will be essentially the events that will unfold in Europe and North America when their respective collapses occur. This “movie” is not meant to be entertainment at the expense of others’ suffering; watching it is a way to forewarn oneself as to what’s coming to those countries that are irrevocably on the same path, but have not yet reached the same point. By watching, the reader may be forewarned as to how to prepare himself so that, whilst his country may be headed toward economic collapse, he may take action to assure that the impact to himself, his family and his investments are diminished. How will you protect yourself in the event of an economic crisis? 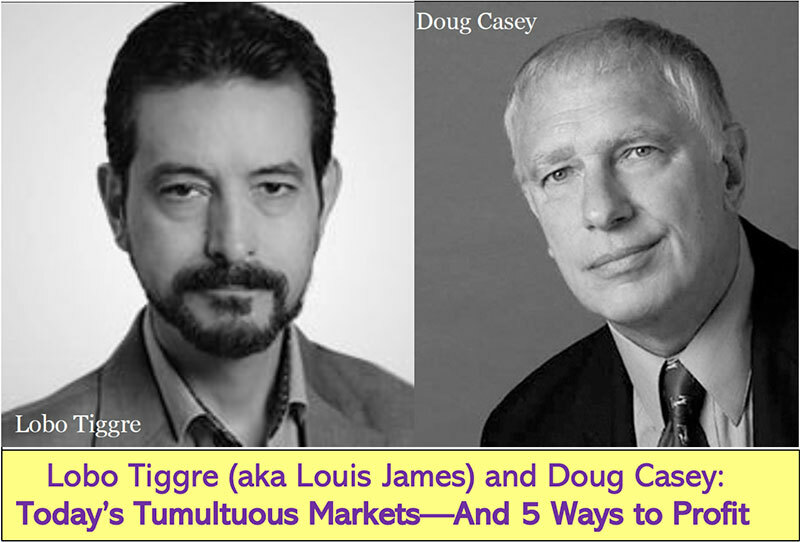 New York Times best-selling author Doug Casey and his team just released a guide that will show you exactly how. Click here to download the PDF now.